Today I am going to talk about BGP disable connected Check. Before we start with the discussion you should know about the BGP an exterior routing protocol. If you are aware of the BGP routing protocol then you will able to relate this article. Lets talk about the BGP disable connected check in details. The neighbor disable-connected-check command is used to disable the connection verification process for eBGP peering sessions that are reachable by a single hop but are configured on a loopback interface. 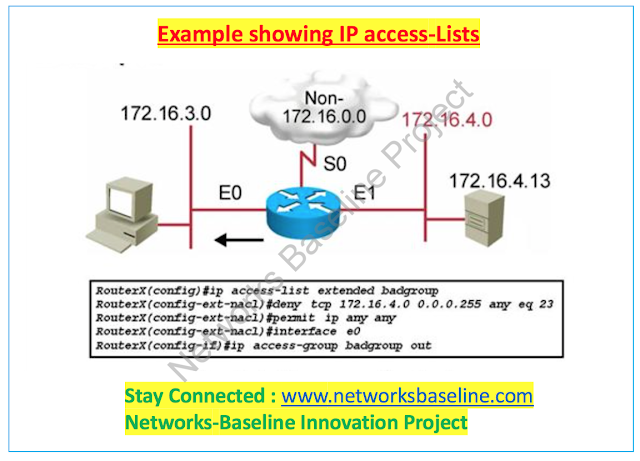 Disable-connected-check enables a directly connected eBGP neighbor to peer using a loopback address without adjusting the default TTL of 1. This basically means it doesn’t count the loopback IP as a hop to reach the neighbor. Because the TTL does not get adjusted, it means the neighbor must only be one router away. Any further, and the TTL will stop the session establishing. The difference with eBGP multihop, is that you can specify how many hops away a neighbor is allowed to be. You are actually adjusting the TTL. 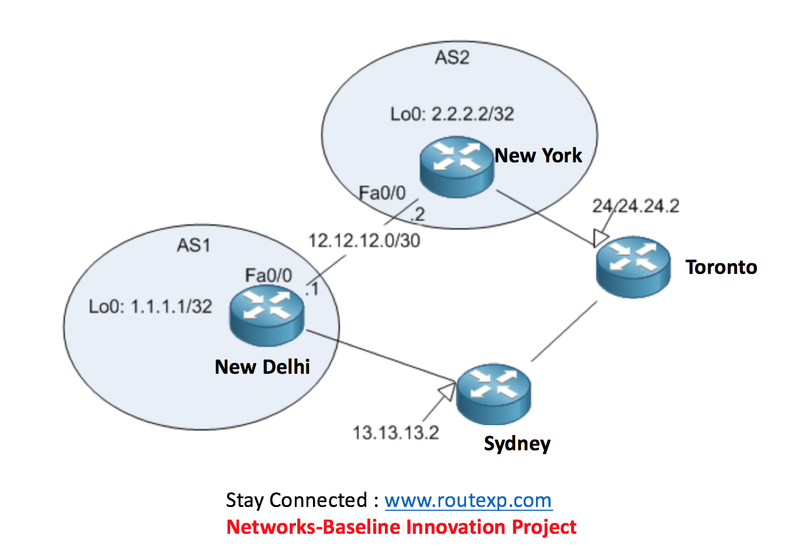 In the diagram above, I’m going to start by configuring BGP between New Delhi Router & New York Router using loopbacks over their directly connected interfaces with disable-connected-check. As you can see, the neighbors came straight up. If I now try and using the path viaNew Delhi-Toronto-Sydney-New York, i.e. a path that is not directly connected, the neighbors will not establish a session because the ttl will only be set to 1,and therefore cause a reachability problem. This is shown below. So because the neighbor is no longer 1 hop away (regarding disable-connected-check) the session drops, a notification is sent, and the hold time expires. However if I use ebgp-multihop instead of the disable-connected check, the session will form (because we increased the TTL). This is shown below. In conclusion, if you want to use the disable-connected-check feature, then ensure the neighbor is directly connected. Otherwise, you need to use ebgp-multihop, or ttl-security to establish the session. Today I am going to talk about the protocol Asynchronous Transfer Mode (ATM). ATM is one of the legacy protocol used for the WAN network by service providers apart from Frame Relay and these days very rare enterprise networking using these technologies. What is Asynchronous Transfer Mode (ATM) ? An ATM network is made up of one or more ATM switches and ATM endpoints. An ATM endpoint (or end system) contains an ATM network interface adapter. Workstations, routers, data service units (DSUs), LAN switches, and video coder-decoders (CODECs) are examples of ATM end systems that can have an ATM interface. Figure 1-2 illustrates several types of ATM end systems—router, LAN switch, workstation, and DSU/CSU, all with ATM network interfaces—connected to an ATM switch through an ATM network to another ATM switch on the other side. Generic flow control (GFC)—provides local functions, such as flow control from endpoint equipment to the ATM switch. This field is presently not used. Virtual path identifier (VPI) and virtual channel identifier (VCI)—VPI identifies a virtual path leg on an ATM interface. VPI and VCI together identify a virtual channel leg on an ATM interface. Concatenating such legs through switches forms a virtual connection across a network. Payload type (PT)—indicates in the first bit whether the cell contains user data or control data. If the cell contains user data, the second bit indicates whether congestion is experienced or not, and the third bit indicates whether the cell is the last in a series of cells that represent a single AAL5 frame. (AAL5 is described in the “Service-dependent ATM Adaptation Layers” section on page 1-14.) If the cell contains control data, the second and third bits indicate maintenance or management flow information. Cell loss priority (CLP)—indicates whether the cell should be discarded if it encounters extreme congestion as it moves through the network. • Header error control (HEC)—contains a cyclic redundancy check on the cell header. Permanent virtual connection (PVC) service—connection between points is direct and permanent. In this way, a PVC is similar to a leased line. Switched virtual connection (SVC) service—connection is created and released dynamically. Because the connection stays up only as long as it is in use (data is being transferred), an SVC is similar to a telephone call. Advantages of PVCs are the guaranteed availability of a connection and that no call setup procedures are required between switches. Disadvantages include static connectivity and that they require manual administration to set up. Advantages of SVCs include connection flexibility and call setup that can be automatically handled by a networking device. Disadvantages include the extra time and overhead required to set up the connection. We will discuss more about ATM Technology in another Article. Today I am going to talk about the 802.1X which is a authentication protocol over the Local Area Network. We will cover 802.1X and will cover EAP over LAN as well. What is 802.1X protocol ? Supplicant: A device (usually workstation) that requests access to the LAN and switch services. The workstation running the IEEE802.1X-compliant client software is called the Supplicant. Authenticator: A device (a switch or a wireless access point) that controls the physical access to the network based on the authentication status of the Supplicant. The Authenticator requests the identity from the Supplicant, verifies that information with the Authentication Server and relays the response to the Supplicant. The Authenticator includes the RADIUS Client. The EAP messages are encapsulated and decapsulated by the Authenticator while interacting with the Authentication Server. Authentication Server: A device that performs the actual authentication of the Supplicant. The Authentication Server validates the identity of the Supplicant and notifies the Authenticator whether the Supplicant is allowed to use the LAN and switch services. The type of EAP method used will be decided between the Supplicant and the Authentication Server. Some of these methods are- LEAP, EAP-TLS, EAP-MD5, EAP-FAST, EAP-GTC, PEAP, etc. EAPOL-Start: When the Supplicant first connects to the LAN, it does not know the MAC address of the Authenticator (if any). By sending the EAPOL-Start message to a multicast group, the Supplicant can find out if there is any Authenticator present. EAPOL-Key: Using this message type, the Authenticator sends encryption (and other) keys to the Supplicant once it has decided to admit it to the network. EAPOL-Packet: This EAPOL frame is used to send actual EAP messages. It is simply a container to send EAP message across LAN. EAPOL-Logoff: This message indicates that the Supplicant wishes to be disconnected from the network. EAPOL-Encapsulated-ASF-Alert: This is provided for use by Alert Standard Forum (ASF) to allow alerts to be forwarded through a port that is in Unauthorized state. All EAPOL frames have Ether Type of 0x888E. During bootup, if the Supplicant does not receive EAP-Request/Identity message from the Authenticator, the Supplicant initiates authentication by sending theEAPOL-Start frame, which prompts the router to request the Supplicant's identity. If the Authenticator port connected to the Supplicant is not configured with dot1x port-control auto command, the Authenticator will not allow any EAPOL frames to pass through it and the port will remain in Unauthorized state. The Supplicant and the Authenticator begin the conversation by negotiating the use of EAP. Once EAP is negotiated, the Authenticator sends an EAP-Request/Identity message to the Supplicant. The Supplicant supplies the EAP-Response/Identity message indicating to the Authenticator that it should proceed with authentication. The Authenticator acts as a pass-through and encapsulates the EAP-Response within an EAP-message attribute sent to the Authentication Server (RADIUS Server) within a RADIUS Access-Request message. On receiving an Access-Request message, the RADIUS server responds with an Access-Challenge message containing EAP-Message attribute. If the RADIUS server does not support EAP, it sends an Access-Reject message. The Authenticator receives the Access-Challenge message, decapsulates the packet and passes onto the Supplicant as an EAP-Request/Auth message. The Supplicant responds back with an EAP-Response/Auth message to the Authenticator. The Authenticator encapsulates it with an Access-Request packet containing EAP-Message attributes and passes onto the RADIUS Server. The RADIUS Server decapsulates the packet and obtains the EAP-Message attribute. It responds back with an Access-Accept packet. The Authenticator decapsulates and forwards the EAP-Success message to the Supplicant. The authentication process at this stage is completed and the port state changes to Authorized. The port state changes to Unauthorized when the link state on the port changes from UP to DOWN, or, the Authenticator receives an EAPOL-Logoff message. 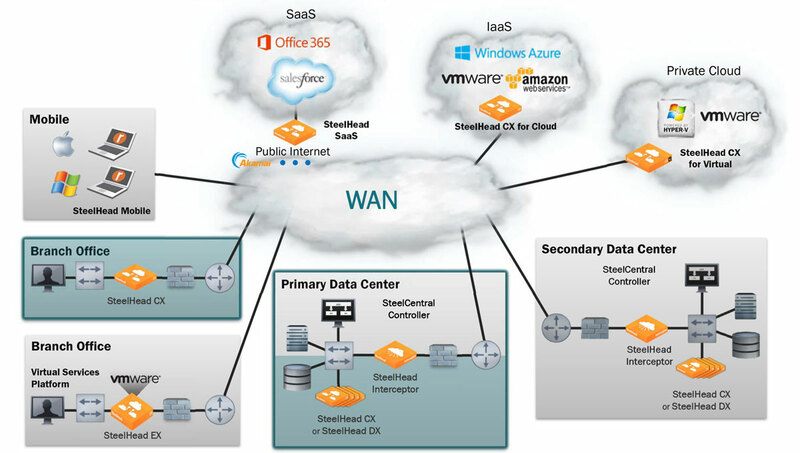 Today I am going to talk about the WAN Optimiser in which i will take the OEM Riverbed and their product Steel Head CX. Let's talk about the Steel Head CX in details. Steel Head CX brings sophisticated optimization to hybrid networks. Steel Head software program promises accelerated performance throughout the complete community - as though the packages were acting regionally. while many commercial enterprise-essential programs are transferring to public clouds for SaaS, others, for compliance motives, remain on premise in company statistics centers or on non-public clouds. Steel Head CX is to be had in an expansion of shape elements/models, consisting of appliances, digital software, and cloud times. "Optimisation solution that accelerates the transfer of data and applications over your hybrid network"
Will discuss every model later on. Available in a wide range of sizes, Cisco ASA CX models provide the same level of security that protects the networks of some of the largest and most security-conscious companies in the world. They also provide Cisco ASA CX series next-generation firewall services, which include Cisco Application Visibility and Control (AVC), web security, botnet filtering, and intrusion prevention, so you can add these security features to new applications and devices in your network. ● Exceptional next-generation firewall services provide the visibility and detailed control that your enterprise needs to safely take advantage of new applications and devices. ● Cisco AVC controls specific behaviors within allowed micro applications. ● Broad and deep network security through an array of integrated cloud- and software-based next-generation firewall services is backed by Cisco Security Intelligence Operations (SIO). ● A highly effective intrusion prevention system (IPS) is provided with Cisco Global Correlation. ● A high-performance VPN and always-on remote access are included. ● Additional security services can be implemented quickly and easily in response to changing needs. The Cisco ASA 5512-X, 5515-X, 5525-X, 5545-X, and 5555-X CX Series Adaptive Security Appliances combine the most widely deployed stateful inspection firewall in the industry with a comprehensive suite of next-generation network security services for comprehensive security without compromise. They provide multiple security services and redundant power supplies and support consistent security enforcement throughout your organization. In addition to comprehensive stateful inspection firewall capabilities, optional features include integrated cloud- and software-based security services, Cisco AVC, Cisco WSE, Cisco Cloud Web Security (CWS), and IPS. These models vary in their performance and throughput capabilities and in the services and number of users that can be supported by each model. Depending on the customer requirements and performance needs, these firewalls can be deployed at small office, Internet edge, and data center locations. This ASA CX series of next-generation firewalls is built on the same proven security platform as the rest of the Cisco ASA family of firewalls and delivers exceptional application visibility and control along with superior performance and operational efficiency. These firewalls provide next-generation services that make it possible to take advantage of new applications and devices without compromising security. Unlike other firewalls, the Cisco ASA 5500-X Series keeps pace with rapidly evolving needs by offering end-to-end network intelligence gained by combining the visibility of local traffic with in-depth global network intelligence. Using Cisco ASA Software Release 9.0 and later, customers can combine up to 16 Cisco ASA 5585-X firewall modules in a single cluster for up to 640 Gbps of throughput, 2 million connections per second, and more than 100 million concurrent connections . This “pay as you grow” model enables organizations to purchase what they need today and dynamically add more when their performance needs grow. To protect high-performance data centers from internal and external threats, the cluster can be augmented by adding IPS modules. Cisco ASA software clustering delivers a consistent scaling factor, irrespective of the number of units in the cluster, for a linear and predictable increase in performance. Complexity is reduced, as no changes are required to existing Layer 2 and Layer 3 networks. Support for data center designs based on the Cisco Catalyst 6500 Series Virtual Switching System (VSS) and the Cisco virtual Port Channel (vPC) as well as the Link Aggregation Control Protocol (LACP) provides high availability (HA) with better network integration. For operational efficiency, Cisco ASA clusters are easy to manage and troubleshoot. Policies pushed to the master node are replicated across all the units within the cluster. The health, performance, and capacity statistics of the entire cluster, as well as individual units within the cluster, can be assessed from a single management console. Hitless software upgrades are supported for ease of device updates. Clustering supports HA in both active/active and active/passive modes. All units in the cluster actively pass traffic, and all connection information is replicated to at least one other unit in the cluster to support N+1 HA. In addition, single and multiple contexts are supported, along with routed and transparent modes. A single configuration is maintained across all units in the cluster using automatic configuration sync. Clusterwide statistics are provided to track resource usage. Today I am going to talk about the Cisco ACI architecture which is new Technology Architecture from Cisco side in Data Center space. New Technology in data-center comes into picture in the form of spine-leaf topology where we can have the east west traffic to be propagate in the equidistance. How Spine-leaf topology describe, lets have a look below. Spine-Leaf topologies are based at the near community structure. The time period originates from Charles Clos at Bell Laboratories, who posted a paper in 1953 describing a mathematical theory of a multi pathing, non-blockading, more than one-level community topology wherein to replace smartphone calls. These days, Clos’ original thoughts on layout are implemented to the modern spine-Leaf topology. spine-leaf is typically deployed as two layers: spines (like an aggregation layer), and leaves (like an get right of entry to layer). spine-leaf topologies provide excessive-bandwidth, low-latency, non-blocking server-to-server connectivity. 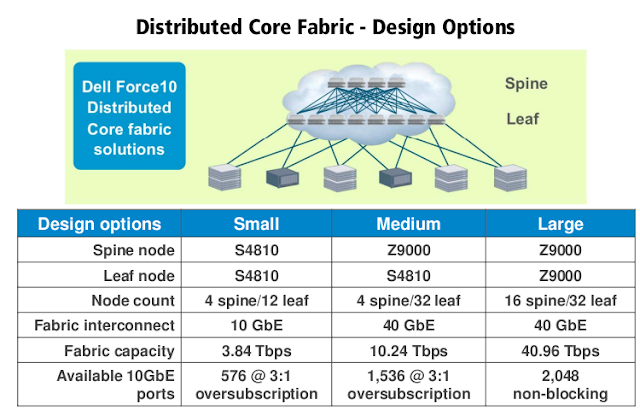 Leaf (aggregation) switches are what offer devices get entry to the material (the network of spine and Leaf switches) and are generally deployed on the top of the rack. typically, gadgets connect with the Leaf switches. gadgets may include servers, Layer four - 7 services (firewalls and cargo balancers), and WAN or net routers. Leaf switches do not connect with different leaf switches (until jogging vPC in standalone NX-OS mode). however, each leaf should hook up with each spine in a full mesh. some ports on the leaf can be used for cease devices (commonly 10 Gigabits), and some ports might be used for the spine connections (commonly forty Gigabits). Spine (aggregation) switches are used to hook up with all Leaf switches, and are typically deployed at the stop or middle of the row. spine switches do not connect with different backbone switches. Spines function backbone interconnects for Leaf switches. typically, spines best connect with leaves, but when integrating a Cisco Nexus 9000 transfer into an current surroundings it's miles perfectly applicable to connect other switches, services, or devices to the spines. All devices connected to the cloth are an same range of hops away from one another. This gives you predictable latency and high bandwidth among servers. The diagram in determine 6 indicates a easy two-tier design. With Leaf-spine configurations, all gadgets are exactly the equal quantity of segments away and comprise a predictable and consistent quantity of put off or latency for touring statistics. this is possible because of the brand new topology design that has best two layers, the Leaf layer and backbone layer. The Leaf layer includes access switches that connect with devices like servers, firewalls, load balancers, and side routers. The backbone layer which is called as spine (made of switches that perform routing) is the spine of the network, where each Leaf switch is interconnected with each and each backbone transfer. To allow for the predictable distance between devices on this -layered design, dynamic Layer three routing is used to interconnect the layers. Dynamic routing allows the exceptional direction to be determined and altered primarily based on responses to community trade. This type of network is for records center architectures with a focal point on “East-West” network site visitors. “East-West” visitors carries information designed to travel within the statistics middle itself and now not outdoor to a one-of-a-kind site or network. This new method is a method to the intrinsic barriers of Spanning Tree with the capacity to utilize different networking protocols and methodologies to obtain a dynamic community. With Leaf-spine, the network makes use of Layer three routing. All routes are configured in an active country via using identical-value Multipath (ECMP). This lets in all connections to be applied on the equal time while still last solid and averting loops within the network. With traditional Layer 2 switching protocols like Spanning Tree on three-tiered networks, it ought to be configured on all devices efficaciously and all the assumptions that Spanning Tree Protocol (STP) is predicated on need to be taken into account (one of the smooth errors to make when configuring STP is with mislabeling device priorities that could lead to an inefficient route setup). The removal of STP between the get entry to and Aggregation layers in lieu of Layer three routing consequences in a miles greater strong surroundings. Every other gain is the convenience of adding additional hardware and capability. when oversubscription of links occurs (which means that more visitors is generated than may be aggregated onto the lively link at one time), the capacity to make bigger potential is simple. an additional spine switch may be added and uplinks can be prolonged to each Leaf transfer, ensuing inside the addition of interlayer bandwidth and reduction of the oversubscription. Whilst device port potential turns into an issue, a new Leaf switch may be added by way of connecting it to each spine and adding the community configuration to the switch. the convenience of growth optimizes the IT department’s procedure of scaling the community with out dealing with or disrupting the Layer 2 switching protocols. The alternative principal drawback comes from the use of Layer three routing. This eliminates the spanning of VLANs (digital LAN) throughout a network. 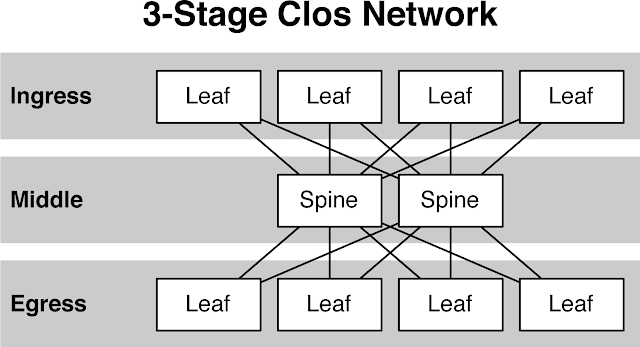 VLANs in a Leaf-spine network are localized to each person Leaf switch; any VLAN segments which are left on a Leaf switch are not reachable through the alternative Leafs. this could create troubles with a scenario inclusive of guest virtual system mobility inside a statistics middle. web scale packages where server area within the network is static could benefit from the implementation of Leaf-backbone. the use of Layer 3 routing among layers of the structure does no longer avoid net scale programs because they do not require server mobility. The removal of Spanning Tree Protocol (STP) results in a greater stable and dependable community overall performance of East-West traffic flows. Scalability of the structure is likewise improved. Organization packages leveraging cellular digital machines (e.g. vMotion) create an trouble while a server wishes to be supportable anywhere inside the records middle. the use of Layer three routing and shortage of VLANs extending among Leafs breaks this requirement. To paintings round this trouble, an answer such as software program defined Networking (SDN) may be employed, which creates a virtual Layer 2 above/on pinnacle of the Leaf-backbone network. This lets in servers to transport around in the environment with impunity at no detriment to “East-West” overall performance, scalability, and stability attributes of a Leaf-backbone community topology. An excellent WAN optimization answer will permit you to prioritize site visitors, and guarantee a certain amount of to be had bandwidth for task vital applications. 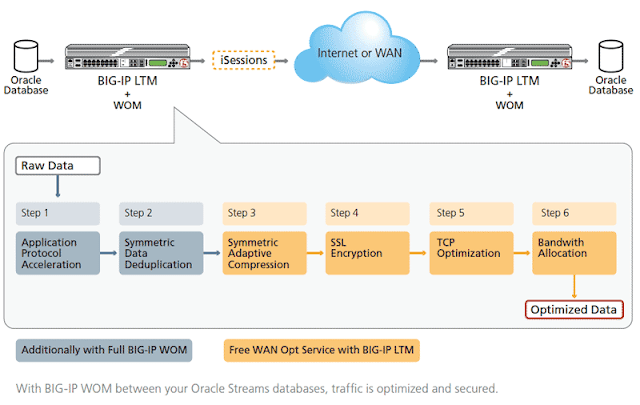 complete WAN optimization answers allow a commercial enterprise to do a whole lot extra than virtually queue the horrific traffic. they are able to block unwanted (in and outbound) traffic, permit it at sure time for the duration of the day, give precedence to positive hosts, and put in force many different associated policies. they will optimize the real visitors as properly, providing decrease latency and higher throughput for the maximum essential packages. 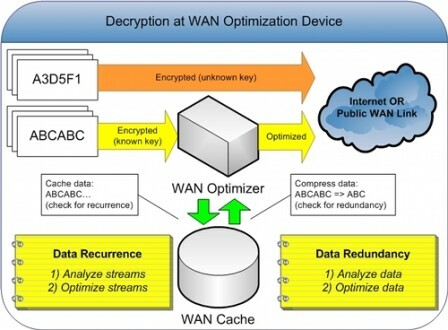 WAN optimization, additionally called WAN acceleration, is the category of technology and techniques used to maximize the efficiency of records go with the flow across a extensive area network (WAN). In an organization WAN, the aim of optimization is to growth the velocity of access to critical packages and facts. Latency: This is the back-and-forth time resulting from chatty applications and protocols, made worse by distance over the WAN. One server sends packets, asks if the other server received it, the other server answers, and back and forth they go. This type of repeated communications can happen 2,000 to 3,000 times just to send a single 60MB Microsoft PowerPoint file. A somewhat simple transaction can introduce latency from 20 ms to 1,200 ms per single file transaction. TCP window size: Adding more bandwidth won’t necessarily improve WAN performance. Your TCP window size limits throughput for each packet transmission. While more bandwidth may give you a bigger overall pipe to handle more transactions, each specific transaction can only go through a smaller pipe, and that often slows application performance over the WAN. Don’t resend redundant data: A process known as data de-duplication removes bytes from the WAN. Data that is accessed repeatedly by users over the WAN is not repeatedly resent. Instead, small 16-byte references are sent to let SteelHead know that this data has already been sent and can be reassembled locally. Once sent, this data never needs to be sent again. Scalable data referencing looks at data packets: Let’s say a user downloads a document from a file server. At the sending and receiving locations, Steel Head sees the file and breaks the document into packets and stores them. Then the user modifies the document and emails it back to 10 colleagues at the file’s original location. In this case the only data sent over the WAN are the small changes made to the document and the 16-byte references that tells the Steel Head device at the other end how to reassemble the document. Steel Head cares about data: Data is data to Steel Head, no matter what format or application it comes from. That means far less of it needs to be sent across the WAN. As an example, imagine how many times the words “the” and “a” appear in files from various applications. Steel Head doesn’t care; these bytes look the same and therefore need not be sent. This type of de-duplication can remove 65–95% of bytes from being transmitted over the WAN. The fastest round trip is the one you never make: Transport streamlining makes TCP more efficient, which means fewer round trips and data per trip. For example, traditional TCP does what’s known as a “slow start process,” where it sends information in small chunks and keeps sending increasingly larger chunks until the receiving server can’t handle the chunk size. Then it starts again back at square one and repeats the process. Transport streamlining avoids the restart and just looks for the optimal packet size and sends packets only in that size. Combine data streamlining with transport streamlining for staggering WAN efficiency: Thanks to transport streamlining you’ll be making fewer round trips (up to 98% reduction), and you’ll be sending more data per trip. This adds up to a much higher throughput. But it’s bigger than that because a single packet can virtually carry megabytes of data by repacking the payload with 16-byte references as opposed to repetitive data. Lastly, application streamlining is specially tuned for a growing list of application protocols including CIFS, HTTP, HTTPS, MAPI, NFS, and SQL. These specific modules understand the chattiness of each protocol and work to keep the conversation on the LAN, where chattiness is not a factor and therefore creates no latency, before making transmissions over the WAN.